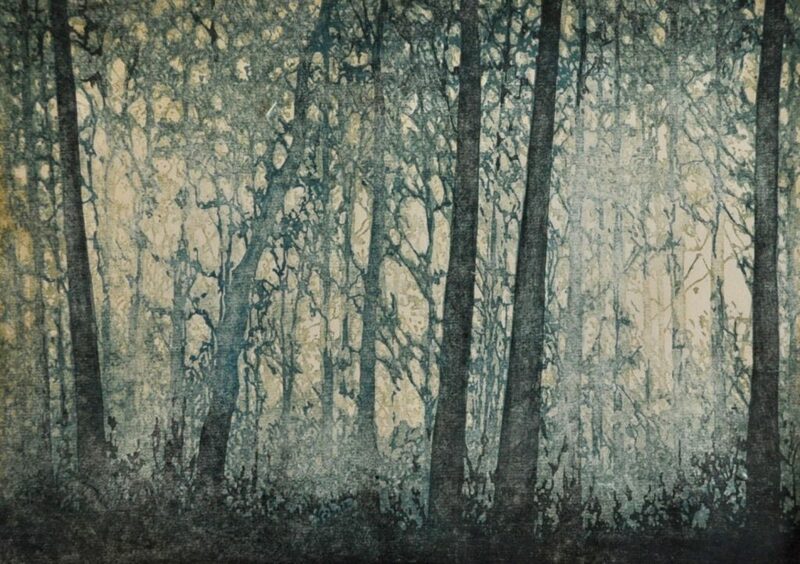 Dayton-based artist Andrea Benedict-Starkey will be at Rosewood Arts Centre on March 3 and 4 to teach a master class in the Japanese woodblock printmaking technique, Moku Hanga. 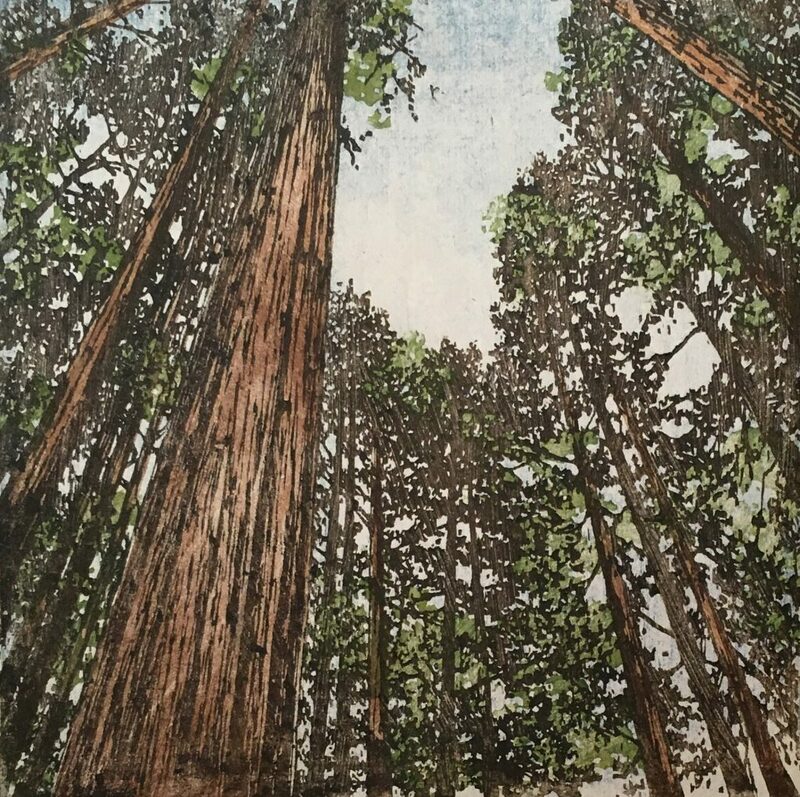 We caught up with her to learn more about the art of Moku Hanga, what inspires her, and what you can expect to learn during the workshop. How does Moku Hanga differ from other types of printmaking? 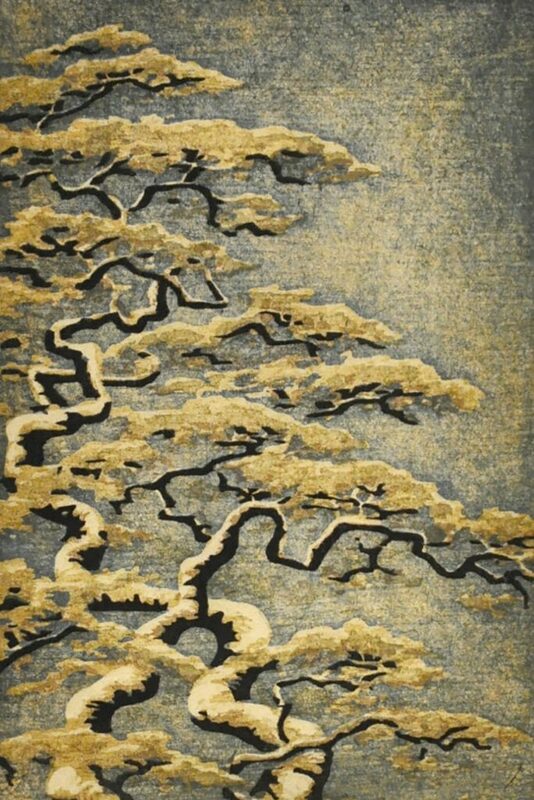 Moku Hanga, or traditional Japanese woodblock printmaking, is basically a difference in Eastern vs. Western printmaking techniques. Prints are pulled by hand using a disc-shaped tool called a baren rather than using a printing press. Instead of oil-based ink rolled on the printing block, water-based inks or pigments are brushed on the block, allowing for gradations and transparent watercolor-like effects. The registration system for making multi-color prints is simple and elegant, and the technique in general can be applied to other forms of printmaking like monotypes/monoprints and reduction prints. How did you become interested in Moku Hanga? When I started printmaking, I knew I wanted a light and transparent effect rather than solid areas of color, and I wanted a way to make prints without a press. Research led me to the Japanese woodblock method. I joined an online group of international Moku Hanga printmakers (Baren Forum) and participated in their print exchanges. It’s been an invaluable source of information on the technique. I find trees very inspiring, and especially light through branches. That drives my desire to create prints. The process itself is also inspiring. There’s something meditative about the steps of drawing the image and then carving it, and I find the natural materials and tools used in the printmaking a joy to work with. Can you give some details about your background as an artist? I am an architectural illustrator and graphic designer professionally. About ten years ago, I started printmaking and was immediately hooked on it, and studied everything I could about the Moku Hanga process. There are quite a few Japanese printmakers that I’m in awe of, as well as a group of North American illustrators-turned-printmakers around the 1920s that practiced tradition Japanese methods. I’m also a fan of Impressionists. I would say the workshop is appropriate for all levels, and some carving experience is helpful but not necessary. 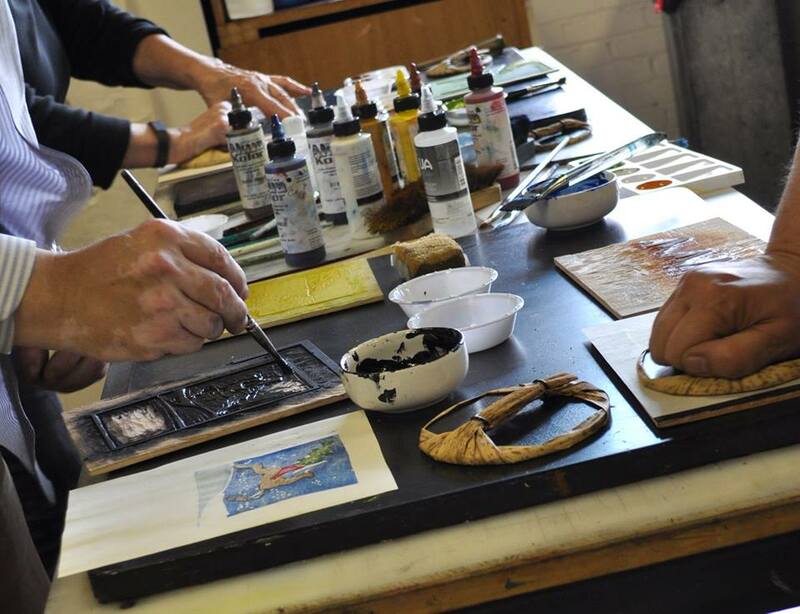 The main takeaways from the workshop will be the registration system and working with the inks, which can be applied to multiple printmaking processes that can be done without a press. The first day will consist of carving a design and transferring it to a second block, while the second day will be centered on pulling prints and making additional color blocks. Participants will bring home proofs, prints and blocks. The workshop takes place on Saturday and Sunday, March 3 and 4 from 10am – 5pm both days. $100 Kettering residents/$110 nonresidents. View the registration page and enroll now. Questions? Contact Rosewood Arts Centre.